I “met” Jorgen van Eck via Facebook and thought his project sounded really interesting so asked him to complete this profile. Currently living in North Maclean, Queensland, Jorgen is is 42 and was born in Utrecht, The Netherlands and has also lived in Maastricht. He emigrated to Australia in November 1980 with Mum, Dad and younger brother, with the remainder of his relatives still living in The Netherlands. Though the programme doesn’t launch until March 7th, and will be posted weekly on this page from then, his page is already very active with lots of beautiful photos. 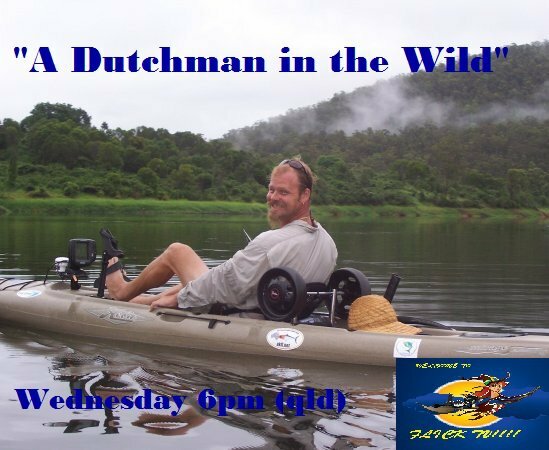 The show is about Australian wildlife, fishing, kayaking, camping, photography and all things Australian. I am still extremely patriotic, fly the Dutch flag, have an NL sticker on my truck and wake the neighbours during the FIFA World Cup, stern supporter of FC Utrecht. It’s my heritage and I’m extremely proud of it. I’m known in Australia as “Dutch” or “Dutchy”. HUP HUP I communicate quite regularly with old friends and family using email and Face Book, we regularly eat Dutch meals (when I can find the ingredients), but due to work restraints, I haven’t had the time to go to any Dutch celebrations for quite some time. I wish to visit my family in The Netherlands hopefully at the end of this year. He has four children who were all born here in Australia and though he’s trying to teach them Dutch language, he finds they have limited interest in learning. When asked about his feelings about Australia? I think he’s about to show even those of us who were born in Australia a new angle to this country in his online tv show so make sure you tune in from 7th March. Hello Anneke, Renee here (who writes this site & the interviews), very sorry but your reply here got mixed up in a lot of spam comments and I’ve only just found it. Did you get in touch with Jorgen? You can also visit his Facebook page or let me know if you’d like me to pass on your message.